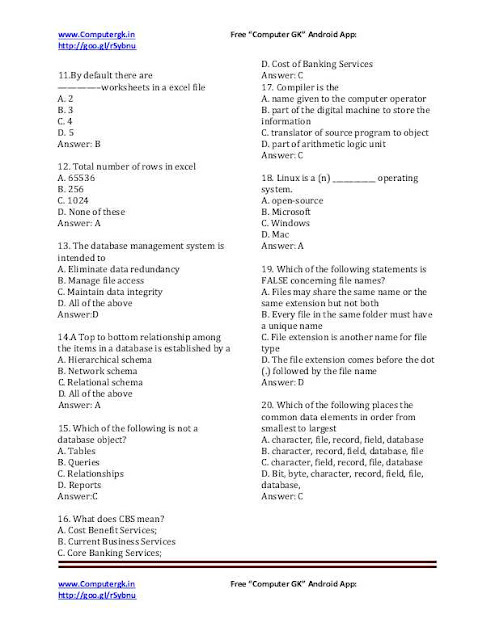 SBI PO Exam Paper 2014 Computer Questions:State Bank of India (SBI) conducted Probationary Officer (PO) examination 2014 at various centers across India. Here is collection of Computer General Knowledge (GK) based on memory for questions asked in various papers to candidates during the examinations. We are providing here 20 Questions of SBI Probationary Officer (PO) examination 2014 on our website www.computergk.in dedicate for various examination like SSC, UPSC, Railway, IBPS, SBI PO, Clerk and other state examinations. For More Questions and Old Exam Papers Download "Computer GK" Free Android App with Computer Quiz, Notes and OLD Exam Papers for FREE. 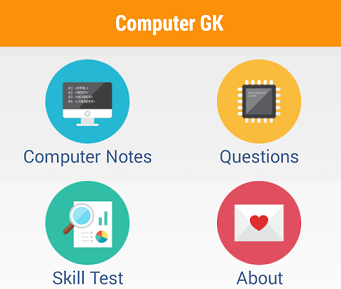 "Computer GK" Free App Download Link: http://goo.gl/rSybnu . Its really great and excellent blog for the student who try to achieve the best score in bank exams. Please share some more, it will be helpful for my students. The information about SBI Po exam model papers given in this blog was really amazing. Thanks for sharing.